Custom Millwork * WoodGrid® Coffered Ceilings by Midwestern Wood Products Co.
For over 50 years, we have been manufacturing special trim and moulding for every use imaginable. 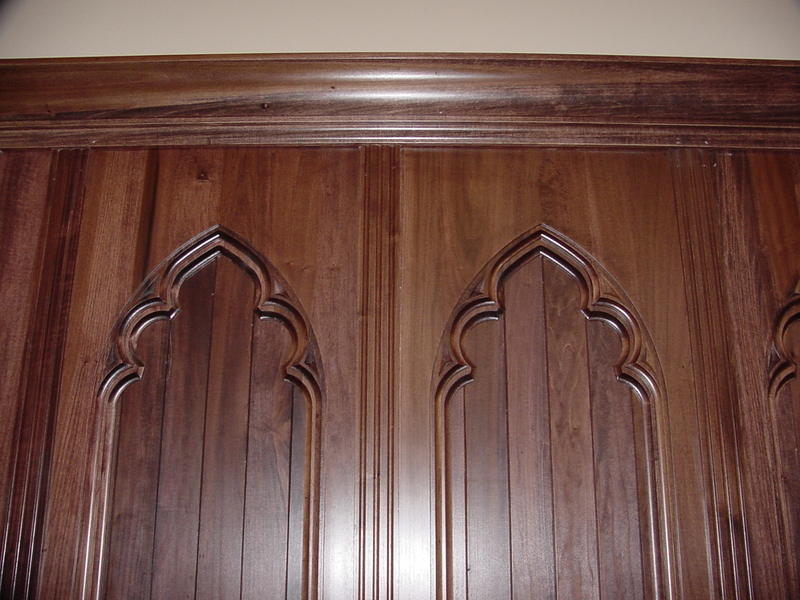 Over the years we have acquired more sophisticated machinery, so that we can make even more special millwork, from curved crowns to ornate carvings. We have several CNC routers that enable us to design intricate details and cut them into solid wood, MDF and even composits and plastics. Whether the project be ornate for residential use or industrial for commercial use, we have all the equipment to do it. 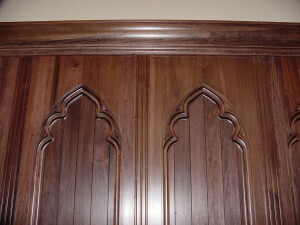 The photo below is of a carving we made for a Catholic Church. 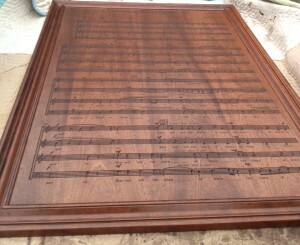 This piece is 4′ x 8′ and has an entire hymn, notes and words, carved into Mahogany MDF.